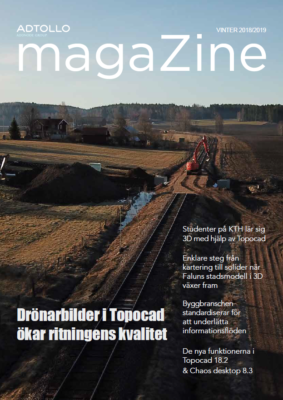 Topocad is a Swedish software, developed for Swedish conditions in CAD, accounting, measurement and communication, many calculations, sending machine guidance data and the AMA. The system has full 3D, an integrated CAD and communicate with a variety of file formats, tools and databases. Topocad integrates terrain models, point clouds, images and vectors in the drawing. The development is continuous and we work closely with our users. Topocad is available from Version 15 in both 32 and 64 bits.